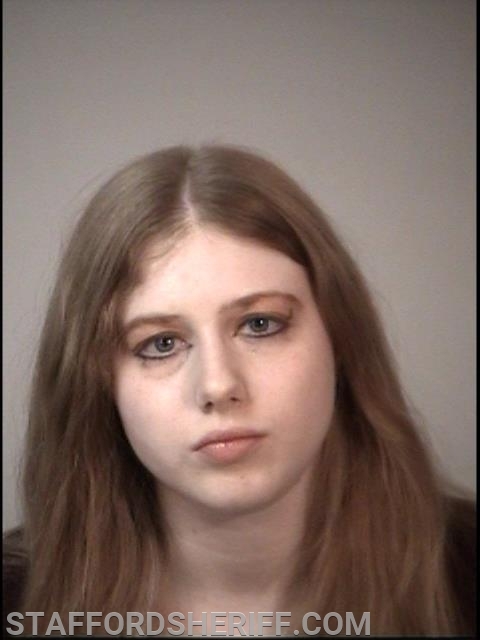 Stafford, VA. A suspect was arrested on Wednesday by deputies with the Stafford County Sheriff’s Office for driving under the influence after a witness observed her hit a sign and continue traveling on Warrenton Road. On March 20, 2019, at approximately 5:59 p.m., Deputy Forman responded to reports of a reckless driver traveling northbound on Warrenton Road in the area of Plantation Drive. A witness reported observing the driver hit a road sign, causing damage to the front of the suspect vehicle. Deputy Forman located the vehicle on Warrenton Road and activated his emergency equipment in an attempt to conduct a traffic stop. The suspect vehicle continued traveling at a low rate of speed for several minutes. Captain Stout arrived and positioned his vehicle in front of the suspect vehicle in the area of Warrenton Road and Peach Lawn Road. The suspect vehicle then came to a stop. Deputy Forman approached the vehicle and made contact with the driver who was identified as Danica Rayna, 20, of Fredericksburg. She struggled to open the door and the deputy had to guide her through putting her vehicle in park and unlocking the doors. The deputy then instructed her to exit the vehicle and noticed she was very unsteady on her feet and her speech was slurred. The suspect admitted to hitting the sign and failing to stop when she saw the deputy following her with his emergency equipment activated. Field sobriety tests were subsequently conducted. A search warrant for blood was also executed. The suspect said she took prescription medication prior to driving. The suspect was taken into custody and incarcerated at Rappahannock Regional Jail until no longer intoxicated. She is charged with driving under the influence, eluding police, hit and run, and failure to maintain proper control.